According to figures obtained by Reuters Hyundai and Ford are top of the list when it comes to new car orders obtained through the UK scrappage incentive. The government earlier in the week said the scrappage scheme had resulted in 60,000 new orders in the period from April 22 to June 7. Out of the 15 car companies in the UK that Reuters contacted, Hyundai was the leader, stating that its latest figures, which covered the period from April 22 to June 7, amounted to 8,246 new orders. Ford came second with 8,050 followed by Toyota at around 7,800 vehicles. 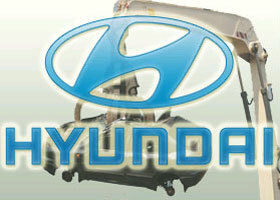 A Hyundai spokeswoman said the i10 was a big seller. “With the scrappage discount on top, you can get a brand new i10 for less than 5,000 pounds,” the spokeswoman said.More than 90 percent of the companies polled indicated that consumers were interested in fuel-efficient low-cost cars. “What we’ve seen in the scrappage schemes that were implemented across Europe is that there’s a tendency to buy smaller cars,” a spokesman for the UK’s Society of Motor Manufacturers and Traders (SMMT) said. “It might be because of the gas mileage or the lower CO2 emissions that are attached to those cars and also the lower price,” he added, really rather stating the obvious.